The destruction wrought about on the human city has provided us with a lot of material and information. Far more important than the capture of live humans was the interrogation of human subjects. Implant a human with our knowledge, modify the brain slightly and we have not only a translation of their language, but a subject more than willing to tell us all that we need to know. We now know that the signal that trigged the awakening of T'leth was sent from a nearby planet as a distress signal. The humans at the time were at war with the same Ethereals that invaded our world so many millions of years ago. Before their destruction, the Ethereals sent their signal out into space, not expecting it to reach us. A somewhat disturbing note is the discovery of Sectoids in the Ethereals forces - a species that is clearly evolved and/or modified from our Aquatoids. 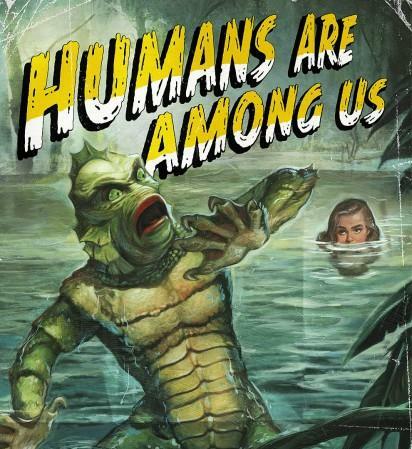 It's hard to say exactly what happened to these Sectoids in the millions of years we've been asleep, but it is no surprise to us that the Sectoids are a sterile, dying race. Cloning degradation is an indisputable fact for anyone relying on pure clones. That's why we have to diversify our DNA stocks and create hybrids and even new species when necessary. 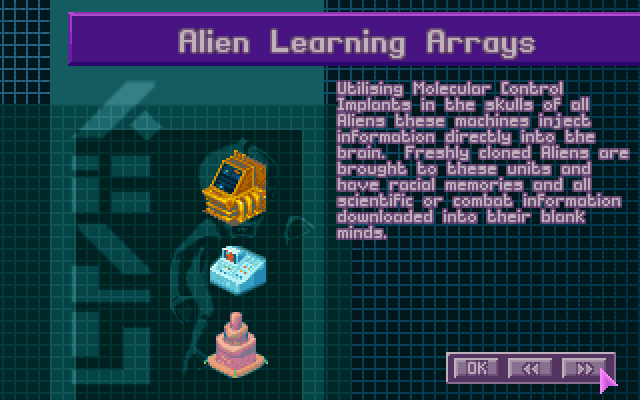 The xenophobic X-COM organization that defeated the Ethereals remains as our enemy now. 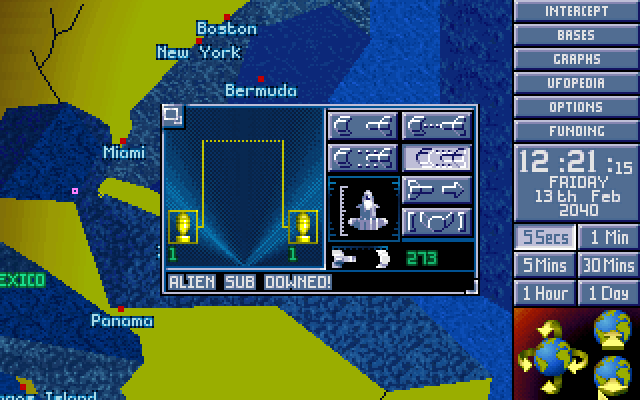 X-COM is supported by the entire population of the planet, who view them as the heroes of the war. We will not be able to defeat them from attrition, so we'll have to devise a new tactic. Somewhere in this nearby ocean there must exist an X-COM base facility. 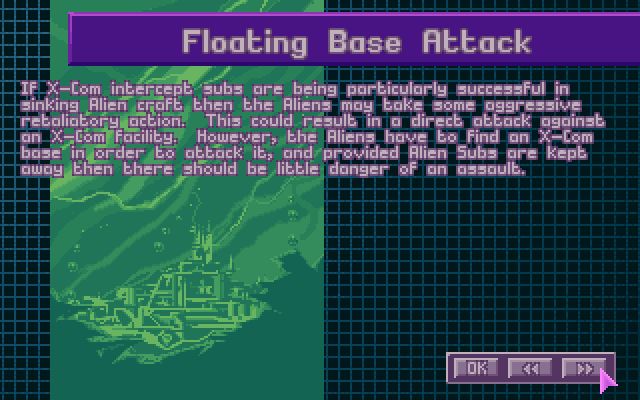 Finding and destroying this facility will slow X-COM down significantly, and buy us the time to put other plans into action. 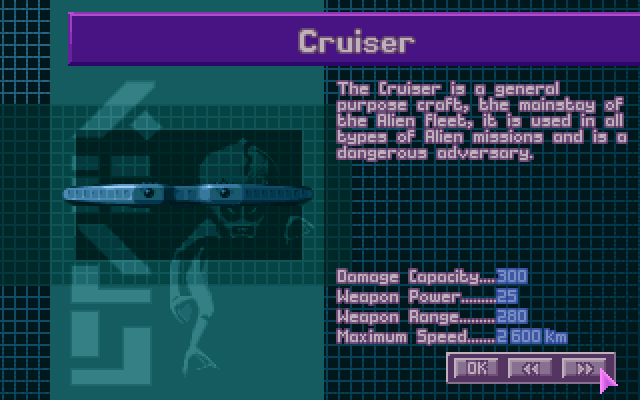 We knew that sending out an armed cruiser would attract attention, and give us another hint as to the location of the X-COM base. Sure enough, they found us. What we didn't expect was that we were not being chased by the "Triton" class sub, but a faster, heavily armed sub. This "Barracuda" vessel fired explosive warheads tipped with isotopically pure uranium from well outside the range of our Sonic Oscillators. The survivors will have to defend the crashed ship. Results: Total victory for X-COM. Survivors include Tikiglass, Geno 'Soup' Soprelli, Terror Van, NX Cang and Chewbot. Terror Van suffers severe injuries. Technologies captured by X-COM - Sonic Cannon, Magnetic Levitation, Sub Construction and Zrbite. Live Gill Men captured. The Gill Men with super armor? An accident. Honest. I'm still going to run with it of course considering what the outcome was. But in-game this was the 5th sub to show up. Three you've seen in videos, one scout was skipped, and one very small sub was destroyed. This mission was SUPPOSED to be Lobstermen, but I thought it would be too mean to spring them on you pubs so early. Not anymore. -Heavy Gauss now available for use. Gauss Cannon now available for research. SEVEN PROXIES! You can't prove anything!